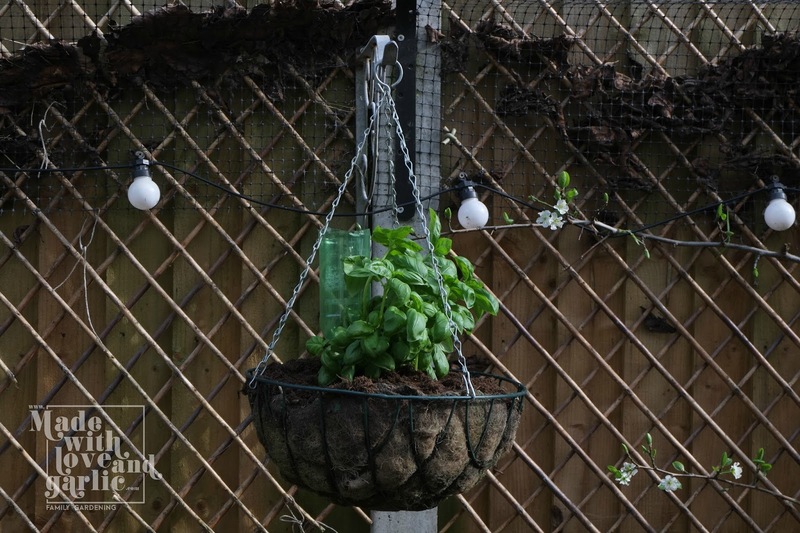 Years ago I decided to install a homemade drip-feed system of soda bottles to water my pots and raised beds. But having filled the one nearest to my beloved plum tree yesterday, I noticed this morning that the water level hadn’t dropped. The culprit was the lid of the old water bottle I was using. Soil had crept inside the hole over the course of last year and a rather unattractive moss had grown inside and blocked the hole. 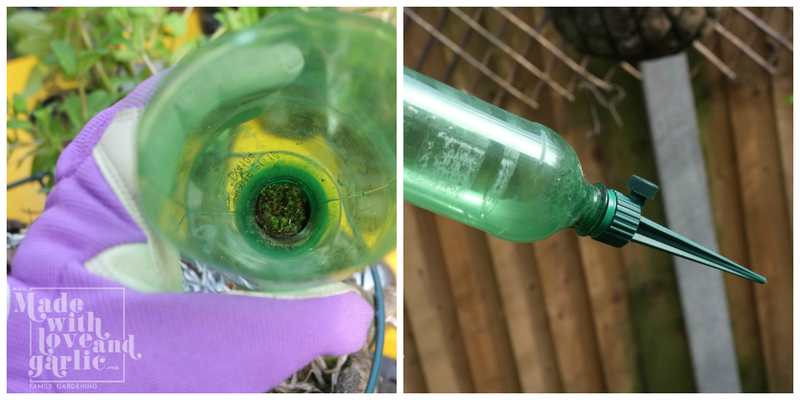 So I’ve decided to treat my garden and upgrade my bottle lids to proper watering spikes. Still very much a DIY solution, but one that I hope that will improve the irrigation right down into the bottom of my raised beds.